To all the Korean movies lovers out there looking for Korean Drama Apps to download Korean movies and Dramas fast and easily, here are the top 5 Korean drama apps you can use to watch and download best Korean movies in HD quality free in 2019. There are lots of apps to download Korean movies, Chinese drama, and Japanese dramas which are available in Google Play Store as free and paid apps. This really makes it easier for Android users to carry their favorite characters and movies right in their pocket. When you are looking for top Kdramas to download, I know what you normally do; you head into google.com and enter “where can I download Kdramas for free” you would be displayed with both relevant and irrelevant results showing you where and how you can actually download/watch Korean dramas with English subtitles. Am not condemning them though, but I'm just trying to say the apps on our list here are absolutely the best to keep you up-to-date with everything happening around Asian movie industries and get the best Korean movies without any issues. Looking for the best place to download Korean dramas? Viki - Korean dramas app is the biggest app ever for downloading Korean dramas with English subtitle fast and easily. 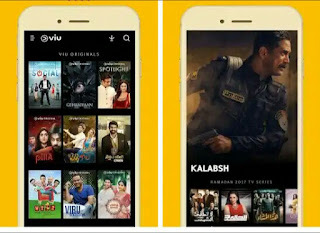 Viki has been one of the great choices for Android users when it comes to watching, downloading, and exploring the world of Asian entertainment. Viki Rakuten offers a wide selection of top-rated Korean dramas and movies for mobile phone users. Asides the provision of the best Korean dramas, Viki also serve as a quick link to access variety TV shows, fashion and lifestyle videos from Japan, Taiwan, China, and other countries. It is although a free app, but you can also subscribe to it premium version (Viki Pass) and get access to Viki Exclusives and Viki Originals (Kdrama Hit Titles) like “While You Were Sleeping”, “Because This Is My First Life” and “The Legend of the Blue Sea and other hit dramas, best movies and TV shows from Korea without the annoying ads. Viki (Dramawiki) is a legit Korean drama app that curates videos with the best subtitles in over 200 languages and this makes it really interesting. Aside from watching and downloading, you would be able to use the ratings and reviews options in order to decide what to watch or share your opinion on any movie with other fans. Looking for what guys are using to watch uninterrupted Asian drama (KDrama) on their mobile devices? KDrama apk is one of the recommendations for you to enjoy real korean movie online alternatively, uTorrent Download is another great option to enjoy free korean drama. Kdrama is a great Android app that helps you to easily watch online Korea drama On-Air & Completed with English subtitle on your phone. 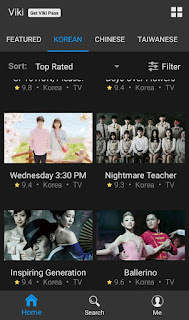 One of the most interesting features is that the app (KDrama Apk) will make it super easy for you to get all New Korean Dramas to watch 2019. This app requires a very less memory and ram so don't have to be worried about lags. For those looking for a good Korean drama application to watch the latest and completed Korean drama in an Android phone, this is one of my favorite App for watching famous Korean drama even while on the go. 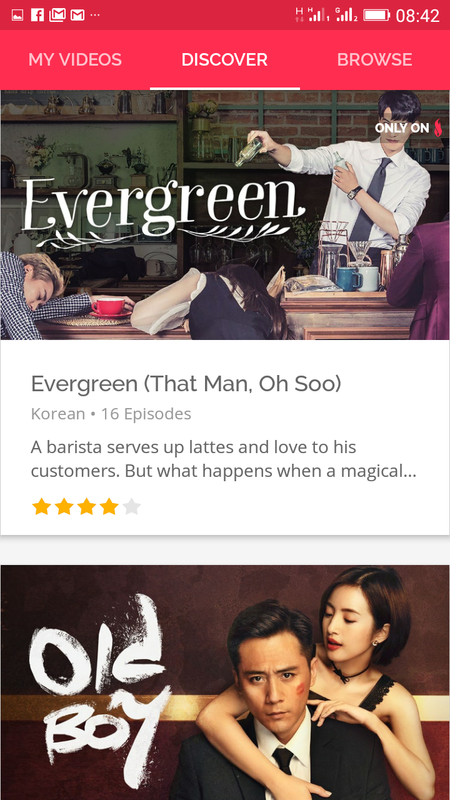 With this app, you can find most of your favorite Korean dramas with search functionality. 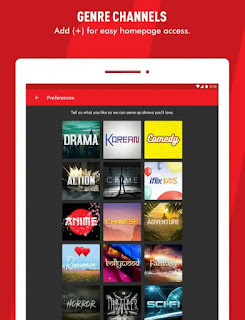 DramaFever (DramaFever Apk Latest Version) is yet another popular Android app to watch TV and movies (stream your favorite dramas online for free). DramaFever also offer high-quality Korean dramas with English subtitles, to me, this is one of the best Korean drama apps with a blend of features and simple interface. The app is not limited to streaming of movies alone, it lacks other features like resume watching from where you left off on your phone or other supported devices. On-demand dramas at your fingertips that you can add to your queue to watch later. Also, you can find out what others are talking about some movies like Goblin, my secret romance, Running Man and more! Note: In order to be able to choose how you want to experience and watch kdrama on DramaFever app, you need to sign up for a free DramaFever account or even go for a premium to watch everything in HD video with no interruptions. Are you looking ways to watch Korean variety shows eng sub online free? Don't worry, Viu the best Drama and Movie app for Koreans, Indonesians, Malaysians, and Indians is here for you! With this app, you would be able to watch real Korean movie and download your favorite shows, movies, TV series and music in full HD with subtitles. Viu gives you instant access to all your favorite dramas, comedies, horror and more! Watch hit TV shows from Korea, Japan, China, Thailand, Indonesia, Malaysia, Turkey, the Middle East, and India as well as our own Viu Originals. 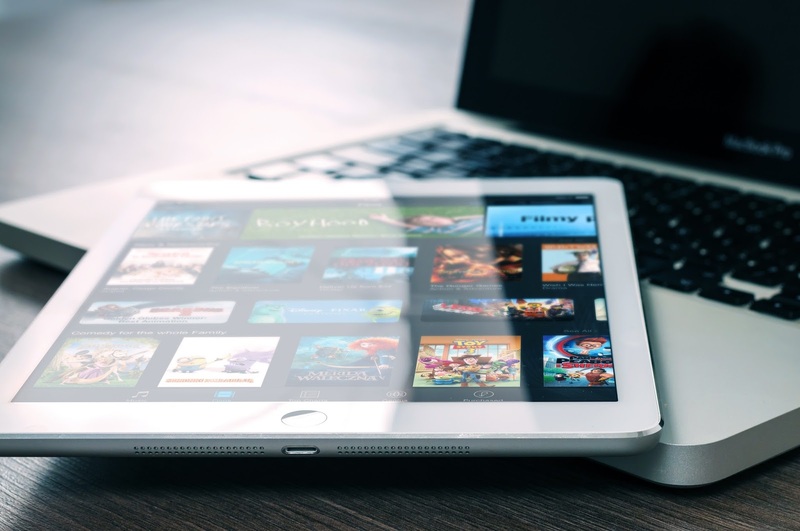 This app is built with a quick window allowing you to easily watch shows from multiple genres such as Drama, Action, Horror, Comedy, Romance, Thriller, and Sports. In a nutshell, Viu is the best app to watch Korean drama free. Click here for Viu movie download on the Android operating system. This is another a must-have app for Korean movies lovers. The app lets you watch and download. your favorite TV show and episodes through your mobile device. On top of that, it's still one of the best apps to watch Asian Drama on a mobile phone. I used the Iflix as my favorite Korean drama downloader app to enjoy quality streaming on my Android device as it provides a bigger viewing experience. It allows me to choose from a massive library of award-winning shows & movies. 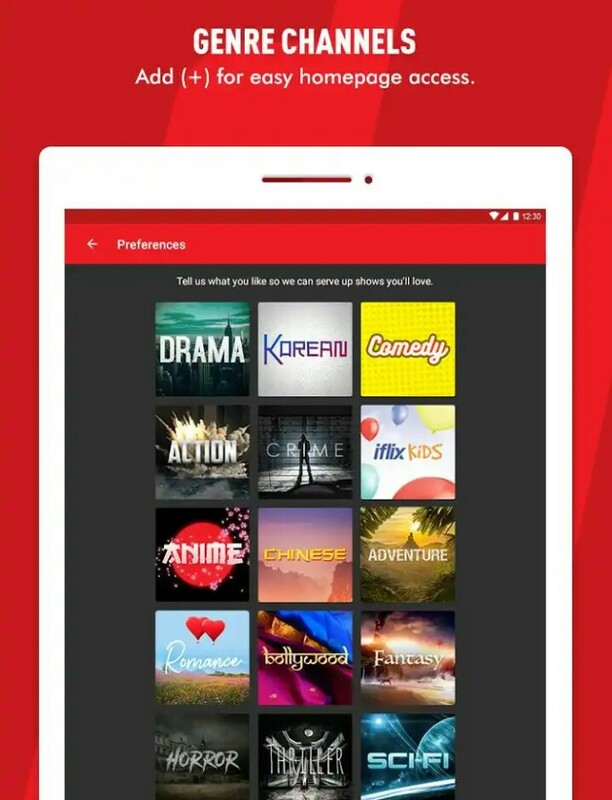 Streaming or Downloading & Watch Offline popular TV series, full box sets (box office), iflix exclusives, 24hrs express episodes, blockbuster movies, local favorites, Korean hits and even toons for the kids is now easier than ever! Go here to download Netflix for Android. Note that not all the above-mentioned apps that support downloading but just a few of them and for how to use them to download, just installed the app => click on the video and follow the instructions to download watch/download Korean drama episodes and series. So, search no further and make a choice from the above listed Korean Drama apps and start downloading real Korean dramas, best Korean movies, and watch kdrama on your Android for free. Best apps to watch Korean dramas free on YouTube. Don't miss the video! Read More: 20 most downloaded iOS Apps.